Most windows look the same from the outside, but like people, its the inside that counts. When it comes to getting the best windows for a fair price, here are 3 important features you need to get right when buying replacement windows. Wood or Vinyl Frames? Double or Triple-Pane? Do it Yourself or Professional? 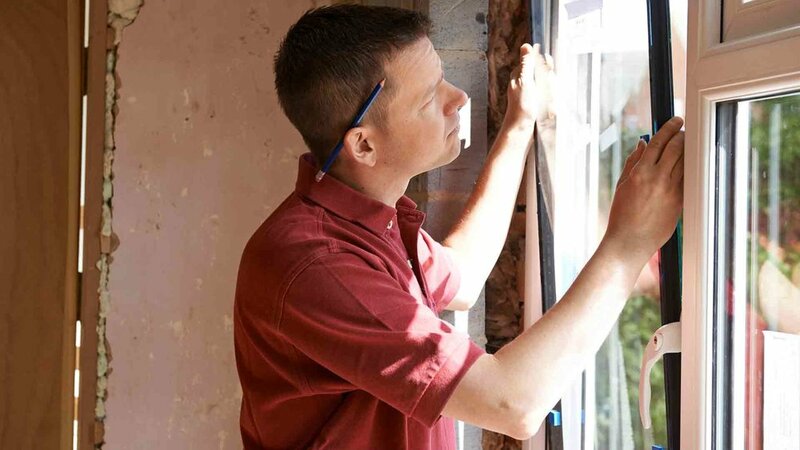 These decisions can make or break a window project’s success. When you’re looking for a quality window frame, you don’t want to cut corners by choosing flimsy or recycled vinyl. Yes, they are cheaper, but the low cost today can turn into expensive headaches of tomorrow. Vinyl mainframes and sashes won’t chip, peel, crack or warp. Multi-chambered sash and mainframe create insulating air spaces for increased thermal efficiency. The best vinyl frames are weatherproof and resistant to the elements. If you choose sub-par vinyl, you’ll likely have to upgrade again in around 5-7 years. This includes newly built homes. The material and quality of the window frame impact pricing, but vinyl is one of the most affordable options. You’ll pay a chunk more if you decide to spring for wood. Wood also rots, chips and peels. Do you want your new replacement windows to save you money on your energy bill? If so, what’s inside the glass package of your new windows matters a lot. Double and Triple-pane options are available. Not to get too technical, but there are gases and glazing applied to glass packages that help make them more energy-efficient. Without these gases and glazing, you can’t really count on your new windows to save much energy at all. These gases act as another layer of insulation. The technology of the glass package is reflected in the cost of your window. If you are considering investing in very low-budget windows, it’s probable that they are not engineered to save much energy. Triple-pane windows provide an extra pane of glass and provide even greater thermal protection as well as sound resistance. Often overlooked as an after thought, installation of your windows is critical for success. Who is installing them? If you are thinking of installing yourself, sure, you might save some money. But unless you are highly skilled, you’re subjecting yourself to allowing drafts in your home. Homes settle and move over time. A quality installation is necessary to provide your windows a tight, insulated fit while keeping the extreme temperature outside, where it belongs. It comes as no surprise that you pay a little bit more to have your windows installed by a professional, but what you gain can save you a lot more money in the long run. It also will keep your window warranty valid. Universal Windows Direct of Fort Wayne windows have a Lifetime Plus 30 year warranty, covering your windows for the lifetime that you own the home as well as 30 years to the next home owner. Lastly, it’s important to hire a window company who has insured and certified installers. Why? Because working with uninsured installers poses a very big risk to you as a homeowner. Imagine having to pay for an accident that happened at your home that was no fault of your own? This is a very realistic possibility if you’re working with uninsured installers. Do your homework and make sure that your window installation team is properly insured and certified. Remember, it’s what’s on the inside that counts, Frames, glass packages, and installation are very important to the success of your window project. Some brand names charge more for their name but it is what’s inside your window that counts. Universal Windows Direct of Fort Wayne uses exclusive UniShield® replacement windows. Installation is local and all of our windows are backed by a Lifetime Plus 30 year warranty.